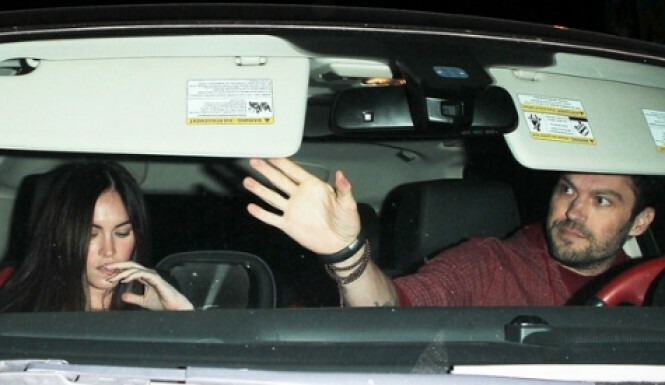 Megan Fox’s son has always been a bit camera shy, thanks to his famous mom and sorta famous dad. Megan Fox’s son Noah Shannon gave the world a first glimpse of his adorable face in a grainy photos taken in Rio de Janeiro, Brazil, according to a Feb. 11 Us Weekly report. In one of the photos, the four-month-old is seen in his father, Brain Austin Green’s arms as the look out of the family’s hotel balcony. And from the looks of it, little Noah inherits the gorgeous gene, sporting mom’s pouty lips and cute round cheeks. Another photograph shows a radiant Fox in a gorgeous floral dress and red heels visiting a Samba School in Sao Paula alongside her husband. The couple reportedly watched locals do a demonstration of “capoeira dance.” Fox has been open with the media about how motherhood has changed her perspective on everything from acting to fashion. Fox and hubby Brian Austin Green got a night out two months after the baby was born.